My husband and I recently inherited two fine fishing poles. We live on the North Shore on the island of Oahu in Hawaii. We often notice fishing poles stuck in the sand on the shore near the winding highway on our way to and from Honolulu. Some of these poles have bells on them to indicate that a sea creature is biting the line. Predictably, a fisherman or woman is nearby sitting on a lawn chair with a net and an awaiting cooler chest. In summer and early fall, you can also see lines or circles of people a few yards off shore standing in waist deep water. They are fishing for small goatfish (oama) which can be eaten fried (bones and all). These small (7 inches or smaller) can also be used as bait for larger fish. So easy, even a child can do it! So cute! 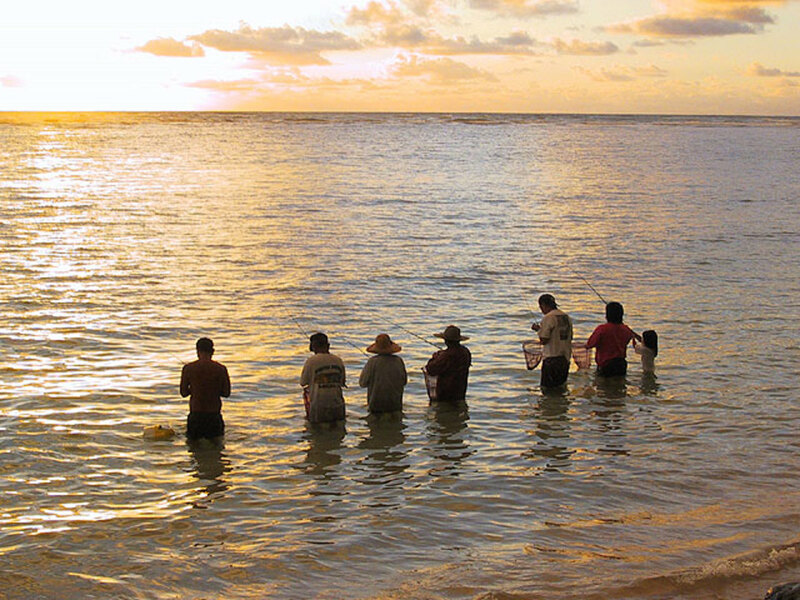 Luckily, native Hawaiians have passed down their fishing skills through the generations. Incidentally, Hawaii does not require a fishing license. Come on over! Some locals fish with a simple bamboo pole with a line, sinker and hook. Many children in Hawaii are taught to fish this way. Then they graduate to spinning reels and rods. 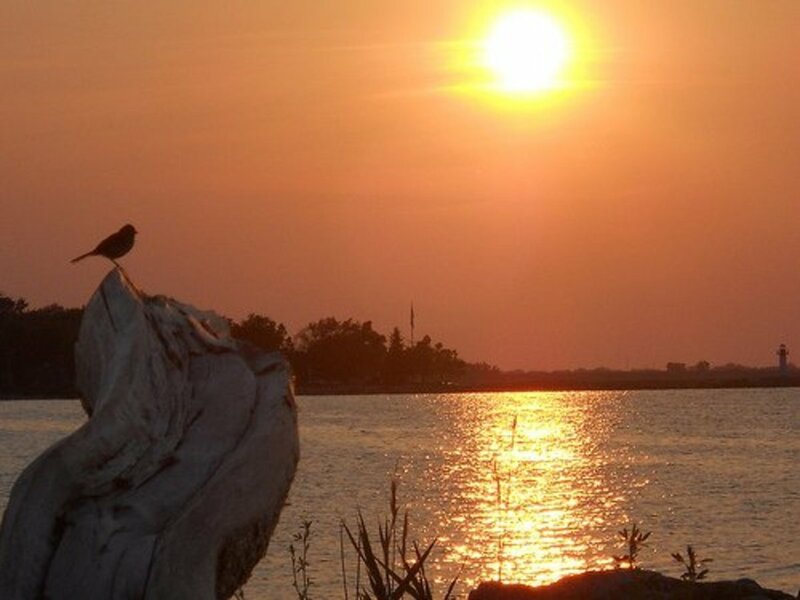 Skills include whipping or spinning (casting your line with a lure and quickly reeling it in) and dunking (Casting a baited and weighted line and then waiting for a fish to bite). Great Hawaiian Music and sights! Other bait that can be used include eel, crab, squid and octopus. 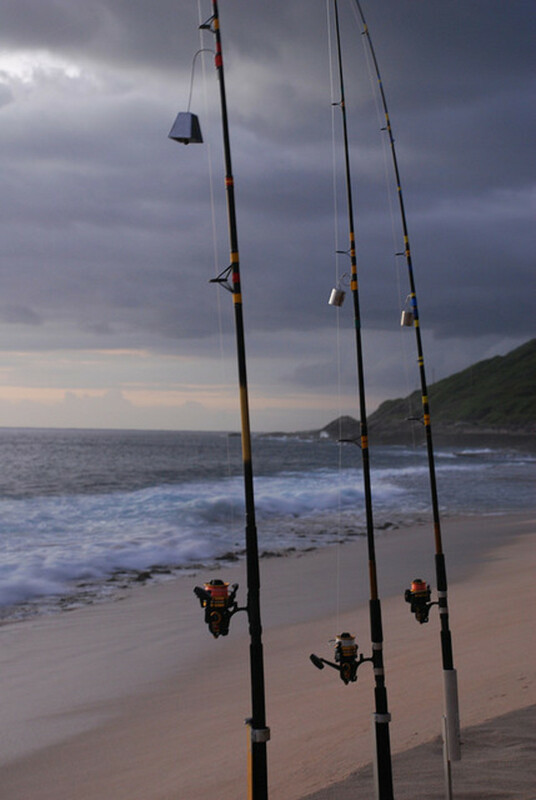 From the shore on Hawaii, you can even catch mahimahi, ahi and ului. Fishing is best near sandbars or where the reef is close to shore. Plenty of fish look for food in the sand near the reef. The farther out you fish from shore, the larger the fish you can catch with the right equipment. It stands to reason that the larger the bait, the larger your catch, but make sure you have hefty line and a strong reel. Fly fishing is not as popular from the shore in Hawaii. Having grown up in Utah, I remember my father and brother making flies for fishing in the rivers or lakes, but have not seen it as much here. 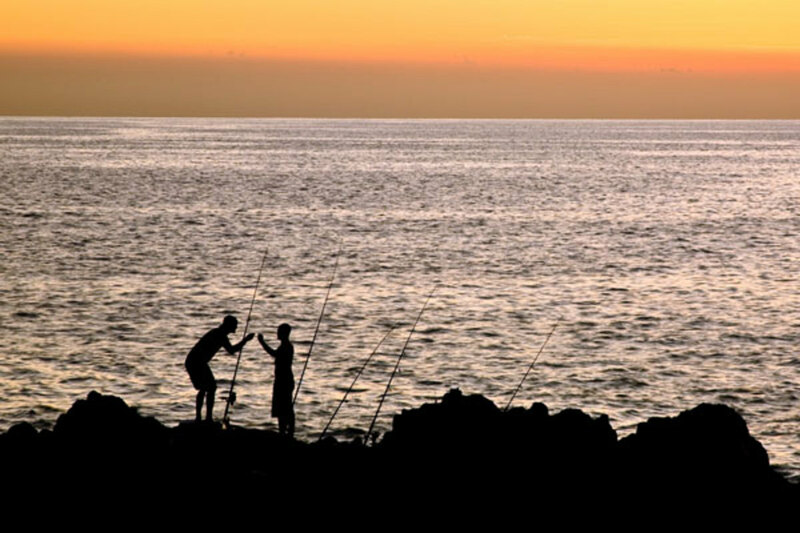 With the whole island of Oahu surrounded by ocean, you can find plenty of shore for fishing. Of course, if you are a well-seasoned fisherman, this hub will be very elementary for you, but that is where my husband and I are at. We are still learning the basics, and hope to share more as we go along. See you at the beach!! I am glad you enjoyed it Simone. Hope you can come on over and give it a try. Aloha! Oh boy, this sounds divine. I mean, developing some whipping and dunking skills would be fun pretty much anywhere... but on the shores of Hawaii, I doubt it could be even *more* divine! Lovely Hub! Hope we can teach you next time you come LianaK. Thanks for commenting. Lucky you live Hawaii! How cool is that? Loved the hub and would love to give fishing a try the next time we are in Hawaii! That's great cardelean. 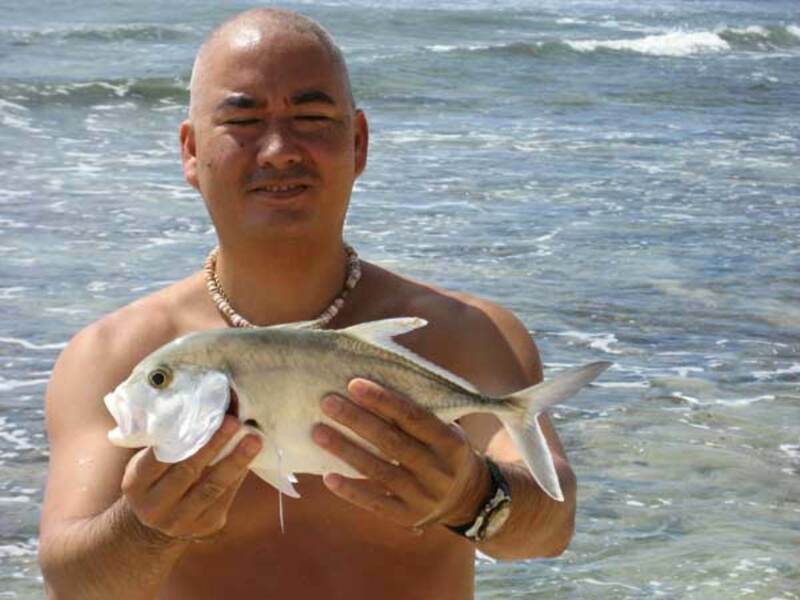 Hope you get the chance to visit Hawaii soon, and try out some bamboo fishing. Aloha! A very delightful hub. Hawaii is on my list of places to visit. When I do, I think I'll have to try fishing! I was pleasantly surprised to see all the comments this morning. I truly hope you all will have a chance to visit and throw your line in the ocean off our shores. We are excited to bring in the "big one" some day. But, for now, I would be just thrilled to catch a few small ones. My husband eats them (bones and all). I am hopeful he will save some for the bait! I love beach fishing but have never fished anywhere as grand as Hawaii. I would love to give it a go and visiting Hawaii has been a dream for many years - ever since I saw Elvis in Blue Hawaii as a child! :) Hoping now more than ever that dream can come true. What a cool way to fish. Living in NY we don't fish like that even at the beach. Interesting hub. Oh how I would love to visit. Enjoyed your hub very much. 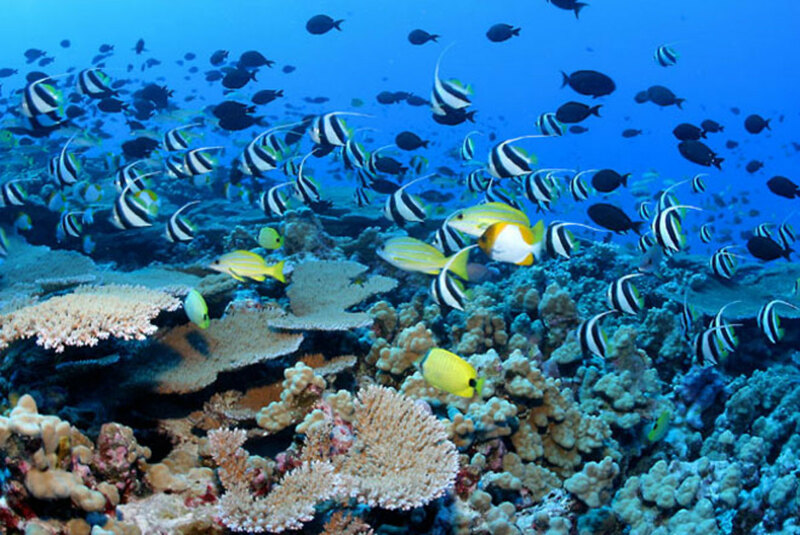 What a bit of fun it would be to be fishing on the shores of Hawaii! We generally head over to Napili Bay. 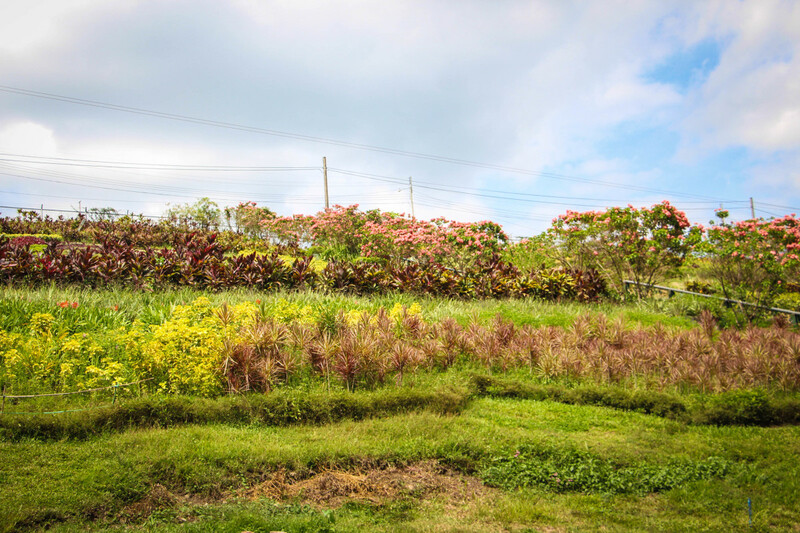 But after reading your hub we are going to have to hop a boat or quick flight to your North Shore on the island of Oahu! It simply sounds like a blast! Thanks for sharing your fish-tail! A fun read for sure. I hope you get a chance to come and fish in Hawaii point2make. 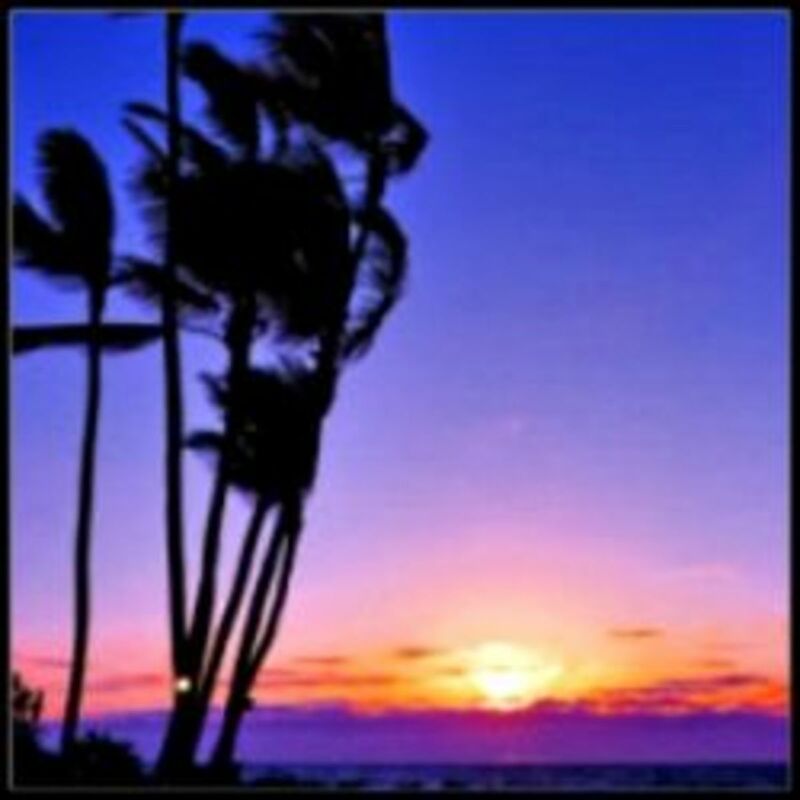 Mahalo nui loa (thank you very much) for your comments. Aloha! Interesting hub. Thanks for the photos and info the thought of fishing can always brings a smile to my face but fishing in Hawaii.....that would be the ultimate!